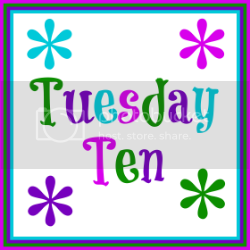 It's finally here - the first installment of the new and improved Tuesday Ten linkup party!! I'm co hosting with my blog friend and fellow The Mother of All Meltdowns co-author, Rabia of The Liebers and this week our topic is resolutions! 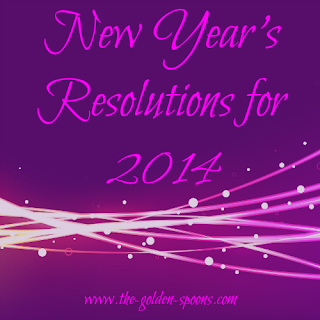 #1-3 - My first three resolutions have to do with goals for my blog and my writing. They were actually the topic of last week's Finish the Sentence Friday post, so you can read about them by clicking HERE. #4 - I started to say I want to lose these stubborn 10-15 pounds that I seem to constantly battle. However, I think it would be better to resolve to just be healthier. I don't exercise because 1) I hate it and 2) I don't make it a priority and find the time to make it happen. I need to. I'm thinking of trying a class - Zumba or even yoga - and hoping that might make exercising more fun. I also want our whole family to eat healthier. That's no easy task with busy schedules and picky eaters. I'm not go all in on a clean eating diet or anything, but we need to eat more fresh fruits and vegetables and less precessed junk. #5 - This year I am definitely planning a big family trip for the summer. Last year, we debated where to go and what to do for so long that we ran out of time and motivation to actually follow through. Our girls are at great ages and they are interested in seeing new places. Right now, I'm thinking a trip to New York City, but we'll see. #6 - I need to read more. I think I resolved to do this in 2013 and it didn't happen. I can't even tell you the last novel I read. Just like exercise, it's a matter of prioritizing and making the time for it. Hopefully, getting on a blog schedule and cutting down on my screen time (see #1-3) will help me fit in some other things. #7 - Rachel's resolution was to keep getting straight A's and make it to 7th grade. #8- Following suit, Megan's was to get all A's and make it to 4th grade. Come link up again next Tuesday, January 14 when the topic will be Things I Love/Hate About Winter. Yeah!! We're live! Your list cracks me up because it is so similar to mine and we didn't even plan it that way!! I hope you try Zumba this year; it's so much fun!! It's a bit tricky to get started and learn the moves, but once you figure it out it's a great workout. My tip? If you can't figure out a routine, ask the instructor to slow it dowwn for you after class and practice it that way. I like 5 and 6. I think I might steal those from you! :) Maybe I can take time to read on a fun trip with my family and kill two bird with one stone?! The blogging schedule and the making time for family are definitely on my hit list. I HAVE to learn how to find a balance. I'd like a big family trip too this summer. This dreadful cold up here is just making me so aware of how much more free I feel in spring/summer/fall. I'm the type to be outside for hours and with these temps and a one-year-old, I just can't. Anyway, I digress. One day. I'd love to do Alaska in the height of summer and Hawaii in the height of winter. I think I need to find a friend to take a class with me, otherwise I will not be motivated to do it. The link will be open until 9:00pm on Friday, so if you write something come back! So happy to link up! I wrote my post with your linkup in mind! I need to read more too. I spent more time reading blogs this year than books. I need to do a little more book reading this year!! YAY for your new link up Lisa!!! WOOHOO!! Found some great posts here. Thanks for this linky! I spend waaayyyy more time reading blogs! Thanks for linking up! Hope you come link up again! No problem! Thanks for linking up and I'll hope you'll come back next week! Thanks for joining! Hope you'll come back in the future! Thanks, Chris! Thanks for linking up with us! 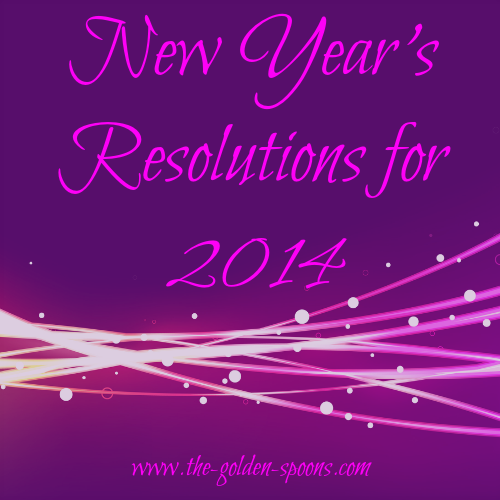 Resolutions really are hard. About exercise: I was an exercise slacker for about 9 years. What finally got me back into it was A) worrying about my cholesterol, and B) pushing through an entire month of doing it, because it takes 21 days to make or break a habit. I wish you luck!